Dingo Dynostix Rawhide Dog Chews are not just your average chew sticks...these unique Dynotix have a very special treat inside...real meat jerky! Give your dog a treat with these Dynostix chew treats, they're a blast! Ingredients: Rawhide, Chicken, Pork, Water, Corn Sugar, Salt, Potassium Sorbate (a preservative), and FD&C Red 40. I buy a lot of this product every month and share with my 2 dogs, my son's 2 dogs, my ex-wife's 2 dogs and my next-door neighbor's 3 dogs, all of whom (dogs and people) love them.Easy to track the shipment and always delivered in a timely manner.Rarely out of stock (except for today...).Once or twice I have phoned them regarding a question and they have been very good about answering it. We have had in-the-house dogs for a number of years. 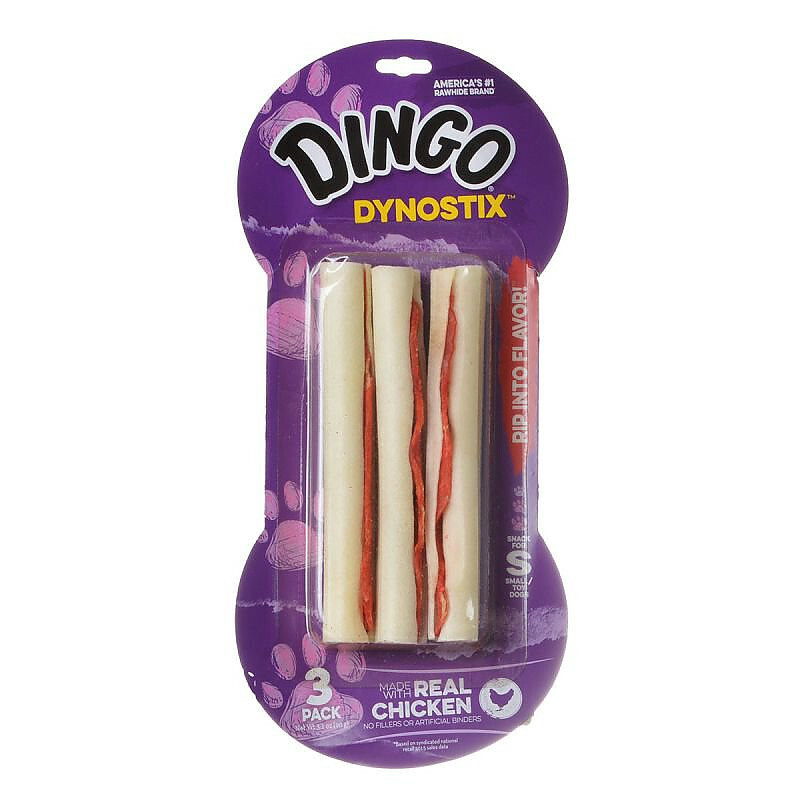 We provide them all with Dingo Dynostix to placate their need to chew. We have never had any dog chew up a shoe, piece of furniture, or anything else they were not supposed to chew. The Dingo Dynostix keeps them completely satisfied. Great product, fair price, quick shipping. 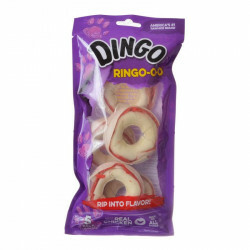 Got a great deal on these Dingo Sticks...my two big dogs love them and I occasionally bring some to the animal services dogs when I can afford to...great stress relievers and clean teeth as a bonus!! My Chocolate Lab loves these. She only gets one every other day, but she really looks forward to her special treat. Found these in Vons a couple of years ago. They stopped carrying and finally found again. 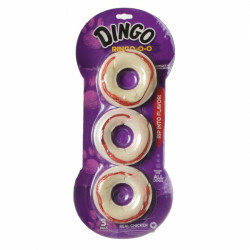 They are Buddy's favorite - at 1PM daily he advises me that it is Dingo time and he won't stop until he gets his Dingo. I keep a large supply in and am very satisfied with the product. Thanks for carrying. We have a Siberian Husky. She loves these Dingo Dinostix. We call these cigars, because when we hand them to her, she takes it in her mouth and it looks like a cigar sticking out. Very funny picture. My Buddy LUVS Dingos; like his one and only acceptable ball, his Dingos are his one and only go-to for chewy goodies. He knows when the package is for him and it has to be opened ASAP. Package arrived earlier than expected and the Dingos are rapidly disappearing. Thanks! Hard to find these where I live. I found them here at a very good price. Thank you. 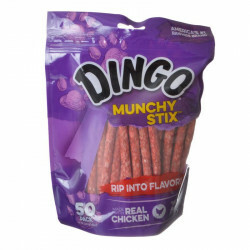 We started giving our dog a package of Dingo Sticks whenever she completed her meal because she was a very finicky eater. Now she will pester us whenever she doesn't get them when she thinks she is done eating. Eventfully, she realizes that we are not going to give in until she finishes her meal. But as soon as she does, she is there by our feet ready to walk us to where we keep the Dingo Sticks. Also, Pet Mountain provides these items at the least expensive price that I can find!! An added bonus. My Siberian husky enjoys these. My husband and I call them cigars, and she knows what that means. She will take out of our hands and walk around with it out the side of her mouth. Hubby said it looks like she has a cigar hanging out of her mouth. 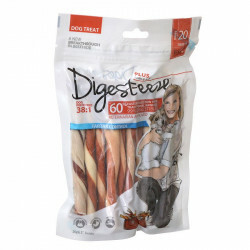 We have a small Yorkie that absolutely loves these Dingo Dynostix treats. These treats are hard to find in local stores within our community. I was really excited to find them on your web site. He was only to excited when the box came loaded down with his treats. They have been great for keeping his teeth healthy. I will be ordering them again. My dogs love treats, along with the neighbor's dogs, who beg for theirs when they see me. Digno's Dingo Dynostix are awesome! Our dogs love it and expect it every night. The size is perfect for medium sized dogs. They are easy to chew and don't make a mess. I recommend it to everyone who owns a medium sized dogs. PetMountain was great too. Online order was easy and shipping was prompt! I would definitely buy from PetMountain again!